Bluewaters Building 10 by Meraas is the latest off plan development situated off the coast of Jumeirah Beach Residence and within Bluewaters Island. This residential development will offer a collection of 1, 2, 3, and 4-bedroom apartments featuring the Ain Dubai, the world’s largest observation wheel. 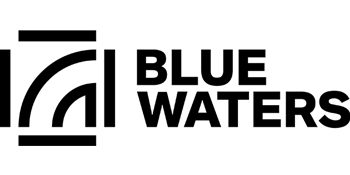 Bluewaters Building 10 will be near to Caesars Palace where the residents can enjoy the luxurious services with world-class amenities for stylish living. This immersive destination is located at an artificial island offering iconic hospitality accommodations, excellent dining options, and awe-inspiring entertainment options. Bluewaters Building 10 is set at Jumeirah Beach Residence and is adjacent to the Beach. It is connected to the Island with direct and easy access from Sheikh Zayed Road. Bluewaters Island is a mega-project and will be the main attraction for the visitors, and tourists as it offers entertainment, retail, residential, and hospitality zones. This stunning destination is a perfect family-oriented destination with a wealth of amenities for a comfortable and relaxed living. 1,486 Sq. ft. – 2,012 Sq. ft.
1,986 Sq. ft. – 2,363 Sq. ft.
2,359 Sq. ft. – 2,740 Sq. ft.
© 2019 Bluewaters Building 10 , All rights reserved.